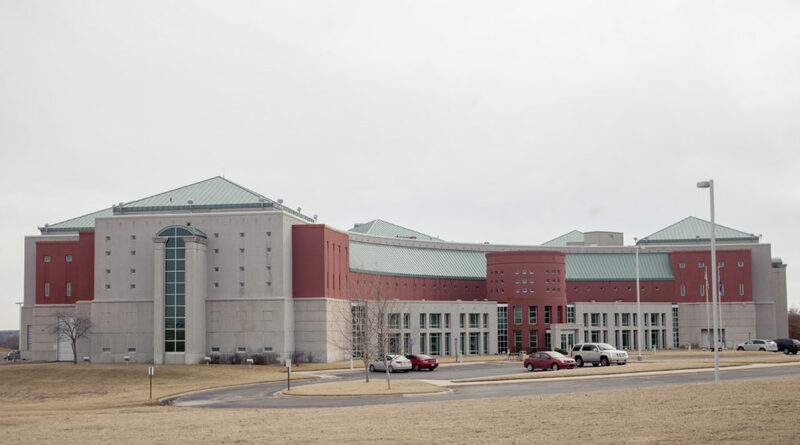 The Douglas County Commission will have a series of work sessions over the next seven weeks to explore key questions concerning the proposed expansion of the Douglas County Jail and building and staffing of a mental health crisis intervention center. 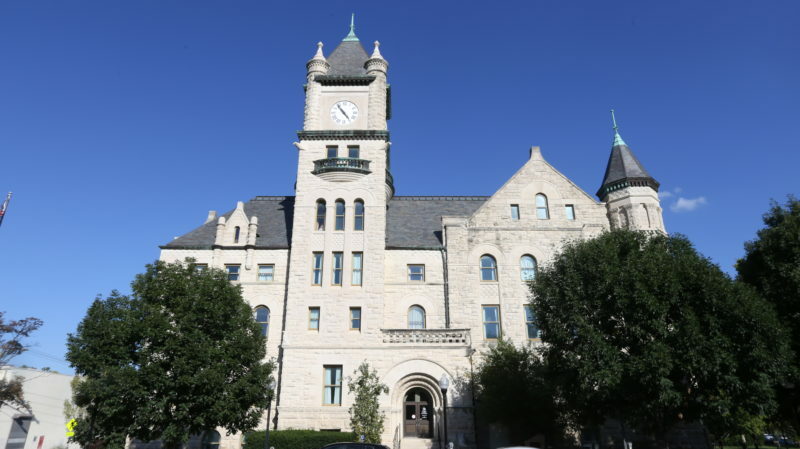 It was revealed at Wednesday’s County Commission meeting that the work sessions will focus on designs and costs for the jail expansion, progress of the county’s alternative to incarceration programs, financing of the two facilities and the mental health service needs in the county. The work sessions will start at 2:30 p.m. Sept. 20 with a presentation to commissioners of alternative jail expansion designs and the impact on the jail’s population of alternative to incarceration programs the county has started. Treanor Architects has been working to update the conceptual jail designs it presented last year to commissioners. The design updates are based on new inmate population projections Sheriff Ken McGovern and consultant Allen Beck have developed. McGovern told commissioners in May more male minimum- and medium-security beds would be needed than previously estimated. 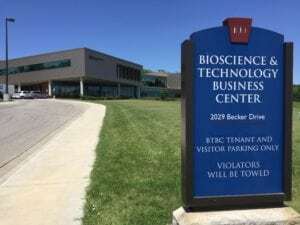 Beck presented findings in June that supported that conclusion, but also found the jail’s female inmate population would not grow as fast as projected when Treanor presented its conceptual designs. County Commission Chair Mike Gaughan said the work sessions would allow commissioners their first opportunity to review and discuss the projects’ design, their funding and how they might be packaged in any referendum put before county voters. It would be commissioners’ first comprehensive discussion of the issues since Michelle Derusseau joined the County Commission in January, he said. Gaughan said the work sessions would get commissioners closer to basic decisions on the two projects, but wouldn’t commit the County Commission to making a decision on a referendum or referendums when the work sessions conclude. Commissioner Nancy Thellman agreed, saying she didn’t see the end of the work sessions as a deadline. Commissioners might develop new questions at the work sessions, she said. • A Sept. 27 review of expanded residential options for supportive housing in the behavioral health continuum of care. • An Oct. 4 review of financing mechanisms for the jail expansion and crisis center. • An Oct. 11 presentation from Bob Tryanski, county director of behavioral health projects, on the county’s behavioral health initiatives, strategies and partnerships. Contributing to the review will be representatives from Lawrence Memorial Hospital, the Bert Nash Community Mental Health Center, Heartland Community Health Center, the Lawrence-Douglas County Housing Authority and DCCCA. 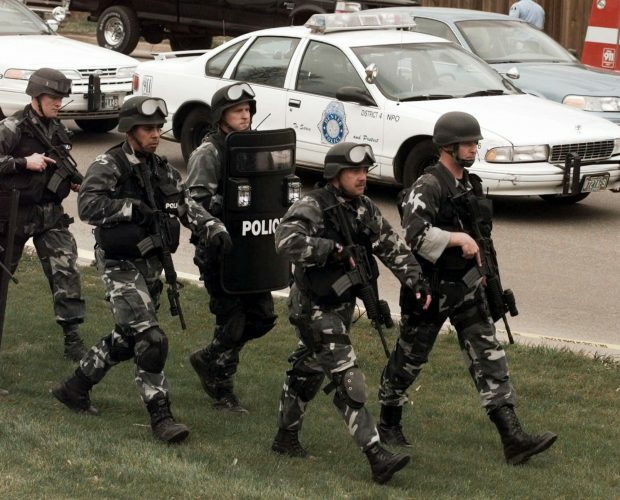 • An Oct. 18 discussion of the oversight of Douglas County Community Corrections. The work session will include a report from Robert Bieniecki, county criminal justice coordinator, on how community corrections can most appropriately fulfill its service to the courts and the expectations of the County Commission. By state statute, corrections is the responsibility of the County Commission, but a past commission assigned it to the Clerk of the Douglas County District Court. • A Nov. 1 concluding review of material from earlier work sessions and status of various capital projects and funding mechanisms. 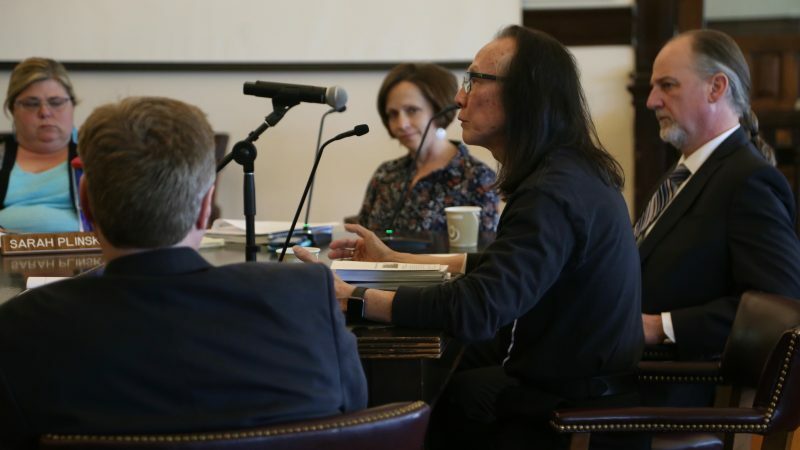 As a springboard to the coming work sessions, commissioners were presented Wednesday with the results of a survey administered to people who visited Lawrence Memorial Hospital or Bert Nash from June 5 to July 12 due to a behavioral health crisis. Survey authors Margaret Severson and Jason Matejkowski, professors with the University of Kansas School of Social Welfare who have worked as consultants for the county, said the survey sought to identify who might seek services in a crisis center and what services patients could need. The survey found 205 people received mental health crisis assessments during the study period. Of those, 83 percent were suicidal or a threat to themselves, and 40 percent were homeless. The survey also found 77 percent were not receiving mental health case management. The high percentage of suicidal patients indicated the need to have a support system in place to evaluate suicide risks and reduce their occurrence, Severson said. The problems of homelessness reported in the survey will be the focus of the Sept. 27 work session. In March, Shannon Oury, executive director of the Lawrence-Douglas County Housing Authority, told commissioners that if the crisis intervention center were built, her agency would like to build apartments immediately to the east, which would be reserved for those with mental health issues. Also at the meeting, Thellman, Tryanski and Douglas County Jail Administrator Wes Houk proposed the county accept Johnson County’s offer to share its My Resource Connect software program with Douglas County. Johnson County developed the software as a way to identify and more efficiently treat regular users of behavioral health services. The program would allow anyone to search for services, but would also have a secure component only available to case managers, probation officers, hospital emergency staff members and other professionals in social welfare or behavioral health agencies. That access would allow them to learn when and where a client was receiving treatment. 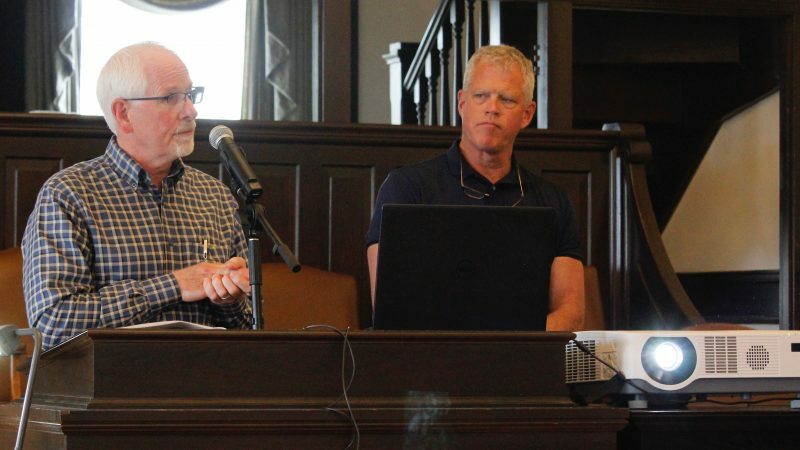 At an earlier meeting, Johnson County officials said there would be a nominal charge associated with Douglas County’s adoption of the software. 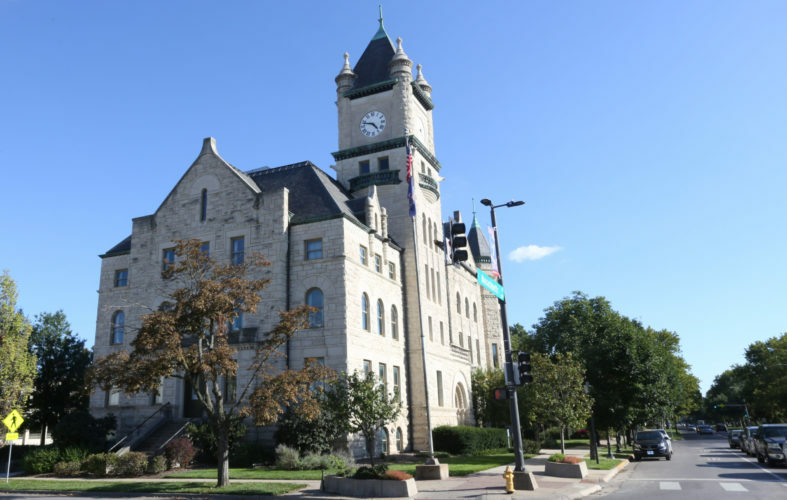 Johnson County is now preparing to make the My Resource Connect available to other jurisdictions in the region, Thellman said. Commissioners agreed the county would join the network when it was available.